Bali: World Forum on Waste Management for Human Health and Livelihood on 26 June 2008 identified some key hazardous substances and their effects on their health. The Forum was organized at the COP9 of Basel Convention on the Control of Transboundary Movements of Hazardous Wastes and their Disposal. In a publication released at the Forum, United Nations Environment Programme (UNEP) noted that “Once widely employed in construction primarily for insulation” and underlined that it is “Still used in gaskets, brakes, roofing and other materials”. The publication highlighted that asbestos “When inhaled can cause cancer and mesothelioma. 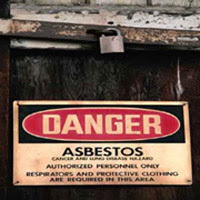 Under the Convention, trade in asbestos wastes and fibers are banned but the movement of raw asbestos fibers from countries like Russia and Canada is not banned as a result of which Asian countries like India are flooded with asbestos. The widespread use of asbestos in India is a matter of global concern. It is a silent killer and is being phased out world over with 50 countries having already banned it. Asbestos, used extensively in India as a roofing material, has since the 1960s been described as extremely dangerous to health. Meanwhile, the Canadian Labour Congress (CLC) is calling for a ban on all asbestos mining in Canada. The CLC passed a resolution that bans the mining of asbestos and also provides financial support for the 700 miners who would be affected by the shutdown. Quebec province of Canada has the only 2 Canadian asbestos mines and that province has one of the highest rates of mesothelioma in the world. Besides Russia, Canada still exports asbestos to countries like India even though most countries have banned asbestos. Ban Asbestos Network of India (BANI) and almost all the major trade unions, environment, health and human rights groups in India have called for banning of asbestos in the country. Dismantling of ships is one of the key issues being discussed at the COP9, and stems from fears an obsolete vessel can release hundreds of tons of hazardous waste, including asbestos. Its a pity that UNEP did not call for ban on asbestos although ILO, a UN body too has sought its global elimination. OTTAWA – The Green Party is expressing concern today over the appointment of Christian Paradis to the Public Works portfolio. Mr. Paradis has made comments supporting asbestos use and has previously served as President of the Asbestos Chamber of Commerce and Industry and Secretary of the Asbestos Chapter of the Management Club of Canada. Asbestos has been called the ‘perfect carcinogen’ and no level of exposure can eliminate the risk of developing asbestosis, lung cancer and mesothelioma. No one who uses public buildings is safe from exposure, including workers in office buildings, students in schools and patients in hospitals. Workers engaged in renovating, maintaining and cleaning buildings are at an elevated risk. “According to the Worker’s Compensation Board, nearly a third of workplace-related fatalities are due to asbestos exposure,” said Ms. May. “This is why virtually every labour union in the country opposes asbestos. Asbestos exposure is a serious occupational health issue. Ms. May added that Canada’s work to block UN efforts to place chrysotile asbestos on the list of the world’s most toxic substances are deplorable. Note: Some years back Delhi government banned asbestos use in new government schools. But this ban was never implemented. In Tamil Nadu after a fire tragedy, the government made asbestos cheaper through subsidy for use in schools. In India, there no school which is asbestos free. The European Union has banned the use of asbestos, as have most developed and many developing countries. But here in Quebec, home of one of world's largest commercial deposits of asbestos, as well as of Canada's only two asbestos mines, we continue to produce and export asbestos to such countries as India and China. We continue to live and die with it as well, having failed to remove it from the public buildings, such as schools, where it used in its heyday as Quebec's magic product. In the intervening decades, asbestos has been identified as a deadly threat by the International Labour Organization and the World Health Organization. A Quebec public-health agency reported 10 years ago that the International Agency for Research on Cancer has classified asbestos a proven human carcinogen. The province has one of the highest rates in the world of the cancer commonly associated with asbestos. The Quebec government cannot pretend that it doesn't know how harmful asbestos is. We should not be allowing people to work in buildings in which asbestos fibres are floating in the environment, contaminating the very air that students, teachers and civil servants must breathe. What made asbestos attractive - from a production point of view - was its durability and ability to retard heat and fire. One of its most common uses was in insulating materials. In Quebec, asbestos was sprayed into a number of public buildings up to the late 1970s, when the technique was banned. Sprayed asbestos has a tendency to shed; small fibre bits come loose and float in the air. Children are considered at greater risk from the fibres. Ten years ago, La Presse reports, more than 500 Quebec schools were found to have floating asbestos fibres. 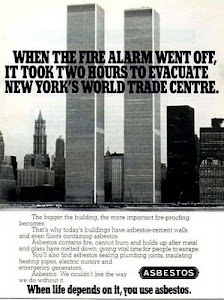 In the majority, the asbestos was either removed or covered up again. This year, the Montreal School Board decided it would look into the situation in 24 of its schools. Good. But what about the rest of the schools? The province seems to have done no follow-up work. BALI, Indonesia (AP) — The United Nations said Wednesday that a lack of resources and political will are hampering efforts to halt the flow of hazardous waste from rich countries to the world's poorest nations. The warning comes as delegates from as many as 170 countries meet on the Indonesian island of Bali to discuss how they can strengthen the U.N.-administered Basel Convention on the Control of Transboundary Movements of Hazardous Wastes and their Disposal, adopted in 1989. The meeting ends Friday. Convention Executive Secretary Katharina Kummer Peiry acknowledged that the dumping of everything from hazardous chemicals to electronic waste from televisions and computers in poor countries is a growing problem. She blamed it mostly on the inability of poor nations to finance better enforcement and monitoring of waste coming into their ports. "The problem lies in the lack of interest and lack of resources on the issue at all levels," Peiry said. "Waste management is not something one wants to talk about," she said. "It's not attractive as an issue and usually at the bottom of the political agenda in terms of environmental management." The extent of the problem was illustrated in 2006, when hundreds of tons of toxic waste were dumped around Ivory Coast's main city of Abidjan, killing at least 10 people and sickening tens of thousands more. The waste came from a tanker chartered by the multibillion-dollar Dutch commodities trading company Trafigura Beheer BV, which turned to Africa after disposal costs in Amsterdam were deemed too expensive. The ship found a local company in Ivory Coast that agreed to dispose of the waste. But it lacked proper facilities and allegedly dumped the waste around the city at night. Trafigura has agreed to pay $236 million to the Ivorian government but has denied responsibility. Critics say the Ivory Coast case highlighted the limitations of the convention. Although it requires a country to seek the consent of another government when exporting waste and allows a country to ban the import of waste, it stops short of an outright export ban. An amendment calling for a ban was first proposed in 1995, but not enough of the convention's 170 member countries have ratified it. A ban is likely to be debated in Bali on Thursday when environmental ministers begin discussing the convention. Opponents of a ban argue it would stamp out environmentally sound recycling of waste that is a boon to some developing countries like Thailand and India. But supporters contend that ignores the potential safety hazards. "If you want to make money, why don't you make money on something else and not hazardous waste," said Agus Purnomo, who is heading Indonesia's delegation at the meeting and supports a ban. "Even the transport poses risks. This is hazardous waste. We need to put at the top the safety of the population and the environment." 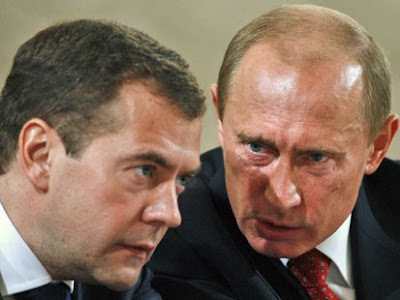 Will the new Russian President, Dmitry Medvedev listen to the scientific opinion seeking ban on asbestos? 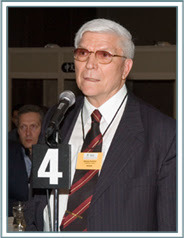 Russia protested in September 2007 as health experts at the first World Society Security Forum in Moscow called for a global asbestos ban because of the health risks associated with asbestos exposure. Scientists at the international forum, however, said that approximately 100,000 people die of asbestos disease each year. It may be remembered that the then President of the Russian Federation,. Vladimir Putin had sent his greetings to the participants in the 29th General Assembly of the International Social Security Association. This message was conveyed by Mr. Medvedev, as First Deputy Prime Minister, during the opening ceremony. The President’s message read: “Scholars and specialists from many countries have gathered in the Russian capital to discuss the most important issues for developing national social security systems and exchange professional experience.The International Social Security Association, which celebrates its 80th anniversary this year, has become an authoritative international organisation and has convincingly proven its value. I am sure that the Association will continue to help achieve the priority objectives for every country of improving people’s quality of life and that the recommendations that come out of this forum’s work will find their use in practical work. I wish you productive work”. Russia accounts for approximately 40 percent of world asbestos production, by far the largest share of the asbestos market. Russia opposes the ban because of the economic impact it would have. Russian experts claim that up to 500,000 Russian workers could lose their jobs if a global asbestos ban were passed. Rane Brake Lining (RBL), a flagship company of Rs 1400 crore Rane Group is setting up its fourth plant in Tiruchy with an investment of Rs 60 crore, to manufacture two million disc pads and by 2011-12. The company already has three such plants in Chennai, Hyderabad and Pondicherry. This new facility is dedicated for the passenger car segment. The new facility for asbestos free disc brake will start production next year. Initially this facility will produce two million disc pads but will be increased to 10 million units as demand picks up. L Ganesh, chairman of RBL said, "We have set up this facility only in the passenger car segments which is growing by 15 per cent every year. This plant is being set up to address the demand created by cars that will be made in India in the future." The Trichy facility will cater to only domestic car makers and replacement market segment. Maruti Suzuki will be the major customer which will buy 50 per cent from the new plant followed by the Tata Motors and Toyota Kirloskar Motors for its proposed small car to be made in India. The Trichy facility will be built over 16 acres and expected to employ only 25 people in the initial phase and is likely to be increased to 200 people by 2012. The company will initially import all the critical equipments from their Japanese partner Nissihinbo which have 10 per cent equity share in RBL. She was built in 1950, at Bethlehem Steel in Quincy, Mass., a shining 682-foot steamship big enough to carry 1,000 passengers at 23 knots down the "sun lane" from New York to the Mediterranean. She carried President and Mrs. Truman across the Atlantic in 1958. Advertisers boasted her as the first air-conditioned liner, with "American designs, American fabrics, even an American soda fountain, and true American hospitality." They called her the SS Independence. Now, 58 years later, airplanes have made her transatlantic voyages redundant and her years as a cruise ship in Hawaii are over. Grass is growing between the teak planks of her sun decks and the flowers painted on her stacks are fading. She has been renamed the SS Oceanic, and the asbestos and chemicals she was built with have environmental groups like the Basel Action Network calling her a floating "toxic time bomb." Today the Oceanic is a rogue ship on the high seas—last seen near Dubai—and is the center of a lawsuit between the U.S. Environmental Protection Agency and the shipbrokers who own her. But even as she deteriorates, the Oceanic remains a valuable property. Ships like these are in demand for their steel, yielding high profits for the brokers who send them to yards to be dismantled. This is one type of recycling, though, that's not always eco-friendly. Old vessels are filled with contaminants, making them dangerous to tear apart. Few governments want this kind of waste on their doorsteps, so the ship graveyards have concentrated in developing countries where regulations are spotty and migrant labor is cheap. That means places like Alang, the Indian scrapyard that took apart as many as 400 ships annually during its peak years of operation. Alang is less busy now, due to competition from several even less regulated yards in Bangladesh and Pakistan; only 129 ships were dismantled there in 2007. But experts on the industry believe that when the Oceanic left her San Francisco berth under tow on the foggy morning of Feb. 8, Alang was her most likely destination. Her journey was disrupted when the EPA issued a complaint against her owners, Maryland-based Global Shipping LLC, seeking fines of $32,500 per day of transport for violating the Toxic Substances Control Act by exporting a ship for scrap with polychlorinated biphenyl chemicals (PCBs) onboard. "Federal law prohibits companies from exporting PCBs, including those in ships that are sent overseas to be scrapped," Rich Vaille, an associate director for the EPA's waste program enforcement, said in a statement. "When companies illegally export PCB waste, they are circumventing U.S. requirements for proper disposal," he said. The Oceanic was owned by Norwegian Cruise Lines until she was sold to Global Shipping shortly before setting sail four months ago. According to the U.S. Maritime Administration (MARAD), Global Shipping originally submitted an application to MARAD for approval to transfer the Oceanic for scrapping in India, but that application was withdrawn before the ship was towed. MARAD has legal authority to seize a vessel for violation of foreign transfer laws, but MARAD spokeswoman Susan Clark says that in the case of the Oceanic, "We are not aware of any such violation." Global Shipping denies knowledge of any toxic material on board the ship and says that it does not intend to scrap the Oceanic but is looking for buyers to restore her. "Vessels of this size, build and history can be put to use in several trades, such as floating hotels, casinos or providing accommodations to laborers," says Shashank Agrawal, a spokesman for Global Shipping. "We must place on record that [the] owners are fully cooperating with the EPA in this exercise." However, according to a waste stream analysis conducted by Werner Hoyt, a ship recycler in Weed, Calif., the Oceanic is carrying 250 tons of asbestos and 210 tons of toxic PCBs—chemicals that were used as fire retardants in paints, cabling, gaskets and flooring until they were outlawed by the EPA in 1978. Hoyt estimates that if sold for scrap the Oceanic's steel could earn Global Shipping a minimum of $8.5 million. Environmentalists contend that ship owners don't always flag their plans for scrapping contaminated ships. In 2006 Norwegian Cruise Lines told inspecting authorities in Bremerhaven, Germany, that their old, damaged liner, the SS Norway (now the SS Blue Lady), was headed to Malaysia for restoration. She ended up on the beach in India instead, shortly after being sold to Bridgend Shipping, a Liberian company, for just $10, according to a sales receipt. Watchdog groups like India's Ban Asbestos Network claim that Bridgend Shipping was acting as a "proxy buyer," enabling Norwegian to avoid responsibility for costly decontamination while negotiating the ship's real price off the record. AnneMarie Mathews, spokeswoman for Norwegian Cruise Lines, would not comment on why the Blue Lady was sold for $10, citing a lack of information. "We sold the [Blue Lady] a long time ago," Mathews said. Once the longest liner in the world, the Blue Lady is currently being dismantled at Alang, with an estimated 1,200 tons of asbestos onboard. Global Shipping, the current owner of the Oceanic, is a subsidiary of Global Marketing Systems, a firm that arranges the scrapping of more than 100 ships a year, and environmentalists are worried the company is just weathering the legal storm before sending the ship for dismantling. The reason they expect it to go to Alang is because Global's CEO, Anil Sharma, has a brother there with a ship-breaking plot. "Everybody in the business knows that Anil Sharma wants to scrap this ship," says Jim Puckett, coordinator of the Seattle-based Basel Action Network, a group working to stop the international trade of toxic materials. "It's in the hands of guys who make all their money scrapping ships." Puckett's group takes its name from the Basel Convention, adopted in 1992 and signed by 170 countries, including India but not the United States. The convention prohibits the international trade of hazardous materials, such as the asbestos, heavy metals, PCBs and other toxic substances aboard almost all old ships. The rules haven't stopped scrapyard workers in Asia from being exposed to contaminants. In 2006 a committee assembled by the Indian Supreme Court found that one in every six workers in Alang shows symptoms of asbestosis—a chronic inflammation of the lungs caused by prolonged exposure to asbestos fibers. Based on interviews with workers, the International Federation for Human Rights estimates that between 48 and 60 workers die in accidents in Alang every year. In addition to worker safety concerns, Indian environmental groups claim that their country has been the dumping ground for foreign waste for decades. "These are toxic chemicals," says Gopal Krishna of the Ban Asbestos Network of India. "But the moment these things enter Indian territory they become nontoxic." Krishna says the responsibility to decontaminate a vessel before scrapping it should lie with the ship's owners, and the legal duty to enforce this should belong to its country of origin. He says the U.S. government hasn't done enough to stop the Oceanic. "The U.S. has a vested interest in allowing the transport of such ships," Krishna says. "It is a nonsignatory to the [Basel] Convention. It facilitates dismantling of the rules as well as dismantling of the ships. This is an act of connivance." Krishna's group and the Basel Action Network question why the EPA is merely seeking to fine the Oceanic's owners instead of ordering the ship to return to U.S. waters immediately. In 2006 the French government ordered the return of its asbestos-laden aircraft carrier, the Clemenceau, which was seeking admission into Indian waters for scrapping. 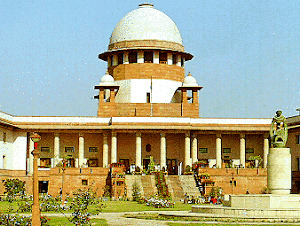 The ship was recalled before the Indian Supreme Court reached a decision on the matter. Spokesmen for both the EPA and Global Shipping will not comment on the legal proceedings involving the Oceanic, but Dean Higuchi, EPA spokesman in Hawaii, says, "All ships need to meet our EPA regulations, especially if they are going to be scrapped." But he concedes that the agency's control over the ship was limited once she reached the high seas. "In general the EPA does not have the ability to recall a ship from international waters," Higuchi says. In September 2007 the Indian Supreme Court issued two rulings on the ship-breaking industry, which maintained India's ability to scrap all types of ships, though requiring the documentation of any toxic materials on board. "India has the capability to recycle warships, nuclear vessels, passenger carriers and all kinds of ships," says Atul Sharma, environmental engineer at the Gujarat Maritime Board, the authority responsible for monitoring the Alang shipyard. Praveen Nagarsheth, president of the Indian Ship-Breakers Association, is equally confident. "As far as I'm concerned, the Supreme Court has allowed any ship to come to India," he said. "Now the question comes about American law. If the American government doesn't intervene, [the Oceanic] will come to India and be broken." Ban Asbestos Network of India (BANI) appreciates Swiss cement major Holcim's submission regarding asbestos before the Securities Appellate Tribunal following imposition of Rs 25-crore penalty by Securities & Exchange Board of India. The fact that ACC held a 76 per cent stake in Everest Industries makes both the companies guilty of knowingly exposing human beings to asbestos that constitutes a blatant case of human rights violation. Asbestos banned in 50 countries, claims 30 lives/day in India. The Securities Appellate Tribunal (SAT) today set aside the Rs 25-crore penalty imposed by capital markets regulator Securities & Exchange Board of India (Sebi) on Swiss cement major Holcim for its failure to comply with the takeover regulations during its acquisition of ACC stake last year. This was the biggest monetary penalty imposed by Sebi on any corporate entity. In its August 2006 order, Sebi had said that Holcim had violated takeover guidelines as it failed to come out with an open offer for Everest Industries, in which ACC held a 76 per cent stake. Holcim had directly bought a 13.82 per cent stake in ACC from Ambuja Cement India, and subsequently scaled up its stake to 34.72 per cent through an open offer. This triggered the takeover code in Everest Industries, a listed entity, but the Swiss cement-maker did not comply with this rule, said Sebi. The Sebi order had asked Holcim to pay the penalty within 45 days. However, the company filed appeal before SAT against the Sebi order. The matter dates back to January 2005 when the Swiss MNC acquired a 67 per cent stake in Ambuja Cement India, which held stake in ACC. Subsequently, Holcim, along with persons acting in concert (PAC), made an open offer to raise its combined holding in ACC to 52 per cent. Since ACC held a 76 per cent stake in Everest Industries, it was alleged that the Holcim's acquisition of ACC led to its indirect control of Everest. However, Holcim countered the allegation by saying Everest was in an unrelated business of asbestos and the MNC did not plan to enter this segment in India. Holcim had globally divested non-core assets worth $1.25 billion in four years beginning 2002. In its submissions before Sebi, Holcim said it did not want to manufacture products using asbestos in India as part of its global strategy. NEW DELHI (AP) — The U.S. copper mining company Asarco LLC will sell virtually all its operating assets to Sterlite Industries (India) Limited for $2.6 billion in cash, Sterlite said. Tucson, Ariz.-based Asarco, formerly known as American Smelting and Refining Company, is the third-largest copper producer in the United States. Sterlite is a subsidiary of Vedanta Resources, a London-based FTSE 100 metal and mining group. The assets being acquired include three open-pit copper mines and a copper smelter in Arizona, as well as a copper refinery, rod and cake plant and precious metals facility in Texas, the company said. The two companies have signed an agreement on the deal, which is still subject to approval by the U.S. Bankruptcy Court for the Southern District of Texas, Sterlite said. Asarco is in Chapter 11 bankruptcy proceedings, which include the question of who is in charge of the company — the Mexican mining giant Grupo Mexico, which bought Asarco in 1999; or Asarco LLC, a board of creditors who claim Grupo Mexico bought Asarco only to strip it of its assets. Sterlite said it will assume operating liabilities, but not Asarco's liabilities for asbestos and other environmental claims for closed operations. Asarco faces huge liabilities — estimated in the billions of dollars — for the cleanup of polluted mine sites and waterways and in asbestos claims. Asarco has assumed responsibility at more than 100 sites across the United States for environmental claims and has been settling with states and the federal government over the past year. It is required to settle or liquidate the claims before it can emerge from bankruptcy protection. "We are delighted to have reached agreement on this important acquisition, which is a significant milestone for our group," Sterlite's Chairman Anil Agarwal said. The statement quoted Asarco's President and Chief Executive Officer Joseph Lapinsky as saying the agreement was a giant step forward in Asarco's quest to successfully emerge from Chapter 11. "The sale will achieve the overall best value for Asarco, its employees, creditors and the local communities in which we operate," Lapinsky said. Asarco produced 259,043 tons of refined copper in 2007. It had total revenues of nearly $1.9 billion for the year ending December 2007, the statement said. Sterlite said it would finance the asset acquisition through a mix of debt and existing cash resources. Two internationally recognized experts who contributed to a Health Canada study on the cancer risks of asbestos are appealing to the federal health minister to make their report public. The federal agency hired seven scientific and medical experts from around the world last November to examine the risks. After submitting their report in March, the experts said they were told it would be made public within weeks, but it still hasn't been released. Health Minister Tony Clement's office told the CBC the report will be made public once his officials have reviewed it. Leslie Stayner, head of the School of Public Health at the University of Illinois, as well as Trevor Ogden, the chair of the panel of experts, have each written letters to Clement decrying the delay. "It is simply unacceptable for this report to continue to be withheld from the public, while individuals who have seen the report and our comments make erroneous allegations about what it contains to suit their political objectives," Stayner wrote in his letter. Last week, Bloc Québécois MP André Bellavance rose in the House of Commons to argue against growing calls to ban chrysotile, a form of asbestos, implying Health Canada's new study supports his view. Both Stayner and Ogden, however, said the panel was never asked its opinion on whether a ban on any form of asbestos was appropriate, and that it was only charged with examining the relative potency of exposure to chrysotile versus other forms of asbestos, and how best to estimate the risk of cancer from exposure. "I want to make the record clear that nothing in the report would argue against the sensibility of an asbestos ban in Canada or for that matter anywhere else in the world," Stayner told CBC. Canada is the only developed nation still producing asbestos, called a deadly threat by the International Labour Organization, the World Health Organization, the International Association for Cancer Research and many more health agencies. Michel Arsenault, president of the Quebec Federation of Labour, in February convinced his colleagues at the Canadian Labour Congress not to call for a ban on asbestos mining until after the Health Canada study was completed and made public. Even though that hasn't happened, the executive council of the CLC passed a resolution on the weekend on behalf of its members calling for an end to asbestos production, as well as economic transition support for the roughly 700 Quebec asbestos miners who would be affected by a shutdown of the industry. In his letter, Stayner said that while the panel was not asked to rule on whether chrysotile asbestos can be used safely, "from a pragmatic point of view, my answer to this question would be that it [safe use] is simply not possible." Quebec's asbestos industry includes Canada's only two asbestos mines. The province has one of the highest rates of mesothelioma — cancer almost always related to asbestos exposure — in the world. Asbestos has been banned by nearly every developed country, as well as a growing number of developing nations. The World Health Organization has estimated as many as 100,000 people around the world die annually from asbestos-related diseases. Health Canada's panel reports on chrysotile asbestos have been withheld by the government and misrepresented in Parliament, provoking panel epidemiologist Leslie Stayner to give an interview to CBC which was aired on 24th May, 2008. Also, panel chairman Trevor Ogden publicly blasted Health Canada for withholding the reports (below). health risks of chrysotile asbestos. two months delay is inexplicable. views. This kind of thing can only increase with time. report, but cannot give any reasonable explanation for the delay. its policies are on a sound scientific base. Exposing any human being to asbestos is a blatant case of human rights violation becasue it causes preventable but incurable diseases like Asbestosis, Mesothelioma and Lung Cancer. An epedemic of asbestos diseases in EU, UK, US, Australia, Japan and several other countries has set the aalarm bell ringing. But Indian government would have its citizens- both workers and consumers of asbestos products-believe that Indians are immune to asbestos disease as if this killer fiber becomes automatically non-poisonous and non-carcinogenic as soon as it enters Indian borders. So far 50 countries have banned all kinds of asbestos including chrysotile (white asbestos) variety. Indeed, "The widespread use of asbestos in India is a matter of global concern. It is a silent killer and its use in water-pipes and roofing material is being phased out. It can lead to a rare form of mesolithelioma cancer, and is linked to lung cancer. Asbestos fibres are so light that they remain suspended in the air and are easily inhaled. The International Labour Organisation has estimated that asbestos kills one lakh people worldwide every year. A study in India has shown that more than 6000 workers are affected by asbestosis (an incurable lung ailment)." 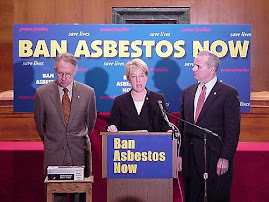 (Special Article, 30 May, 2008, Y P Gupta, THe Statesman) It is noteworthy that the US Senate has passed the Ban Asbestos America Act 2007. While "The Supreme Court has ruled that an asbestos worker's right to health and medicare during service and after retirement is a fundamental right under the Constitution" but this right has been violated by the Indian government by making asbestos products artificially cheaper. Russians and Canadians are dumping their asbestos raw material in India with the active promotion by the Union Commerece Ministry. The ILO Resolution of 14th June 2006 calls for elimination asbestos since no "safe" and "controlled" use of asbestos and asbestos products is possible. The WTO Appellate Body in the Canada vs European Comunitiy also upheld the right of France to ban asbestos since no safe use is possible. Unmindful of this in India, Asbestos consumption is rising at an alarming rate causing estimated 30 deaths every day. And given the fact that asbestos studies in National Institute of Occupational Health, the only agency authorised to certify incuarable asbestos diseases is admittedly funded by asbestos industry, the number Indian asbestos victims would continue to rise without discrimination to the class of people. Asbestos is a ticking Time Bomb.